A: Yes, ampalaya or bitter melon (Mormodica charantia) has been proven to be effective in lowering the blood sugar of people with non-insulin dependent or type 2 diabetes, the type of diabetes that afflicts 90 to 95 percent of all diabetics. A substantial number of scientific studies on the effect of ampalaya on blood glucose levels have already been undertaken. The most compelling of these is a 10-year trial, which was conducted by the Philippine Council for Health Research and Development (PCHRD) that compared ampalaya leaves with the anti-diabetes drug glibenclamide. The results of the trial showed that the blood sugar lowering effect of a 100 milligram per kilo dose per day of ampalaya is comparable to 2.5 milligrams of the anti-diabetes drug Glibenclamide taken twice a day. 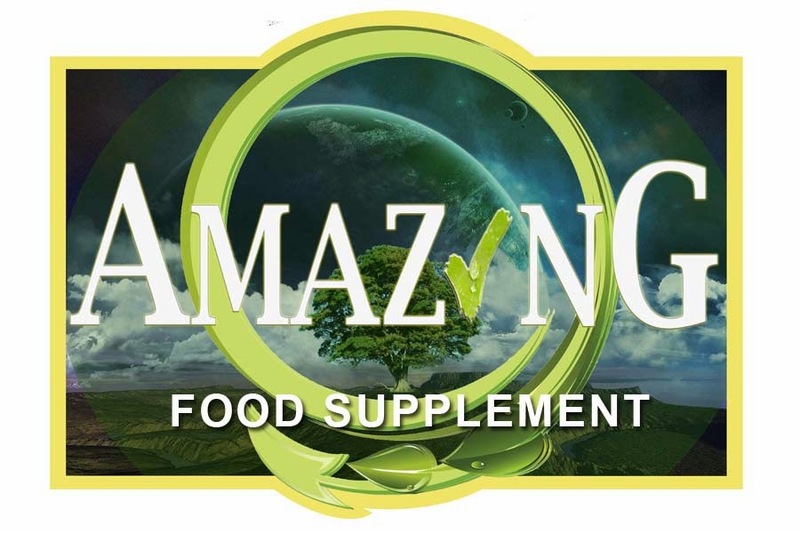 The sugar lowering effect of ampalaya applies to the leaves of the plant whether eaten as food or taken in the form of tablets, capsules and teas. There are no conclusive studies on the effect of the fruits and roots yet. 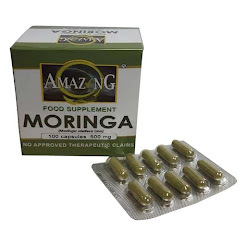 Ampalaya tablets, capsules and teas abound in supermarkets and drugstores, but diabetics who wish to benefit from ampalaya need not buy these products. They can cultivate the plant or buy it fresh and make their own preparation. • Drink 1/3 cup of the solution three times a day. Alternately, ampalaya tops can be steamed and eaten (1/2 cup twice a day). Incidentally, the standard treatment for controlling type 2 diabetes includes diet, exercise and anti-diabetic medications. Hence, regular intake of ampalaya alone will not be able to control the blood sugar of most diabetics. People with the disease must still exercise and stick to a diabetic diet. Furthermore, for many diabetics, other medicines might have to be taken. In any case, regular intake of ampalaya will, at the least, lower the dose requirements for other anti-diabetic drugs. 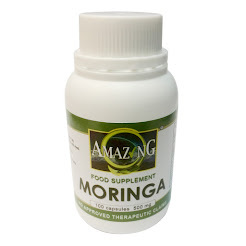 The blood sugar lowering property of ampalaya is attributed to its content of momorcidin, a substance that is sometimes called plant insulin. This is also the substance that is responsible for the bitter taste of the plant’s leaves and fruits. As to the other medicinal properties of ampalaya, books and articles on Philippine medicinal plants list several diseases where the plant is apparently beneficial. Reportedly, extracts from the leaves or roots shrink hemorrhoids. The leaf extract is supposedly also a good antitussive (i.e., anti-cough) and antipyretic (i.e., for fever). Likewise, it is purportedly, a good a purgative and anthelmintic (i.e., against roundworms). Moreover, it has some antimicrobial activity and can help heal infected wounds. Furthermore, it is reportedly effective in alleviating liver problems and in treating sterility in women. 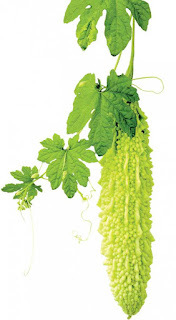 Lately, some reports claim ampalaya has substance Q, which is of some value in the treatment of HIV/AIDS. However, none of the above-enumerated supposed other medicinal uses of ampalaya have been scientifically proven. But this does not necessarily mean that the claims are not true. It’s just that the plant has not been studied extensively enough yet.